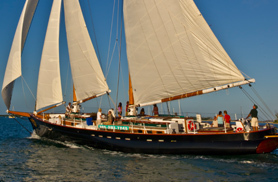 Because you love sailing we know you need to step aboard the Schooner America 2.0 and cruise with us for a Key West Day Sail! Certainly, you cannot go wrong with sipping on some Champagne or a favorite beverage of choice as you kick back to relax with us. 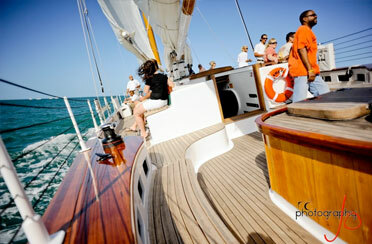 Soak in that sun for the afternoon as you sail with us aboard this stunning yacht. Depending on the weather we will head out to Fleming Key, Sunset Key, Sand Key Light House or Fort Zachary Taylor. 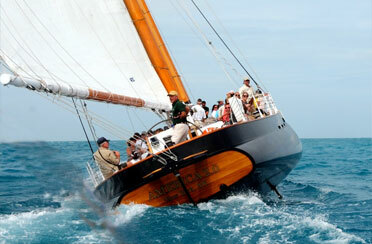 Catch a glimpse of the magical Key West dolphins as they surf the bow of our boat. Yes, they surf the bow of our boat and for that reason, you will be sure to capture a photo for your social media! 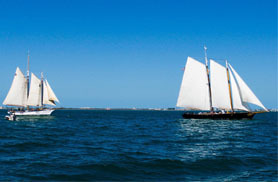 We all know that sailing is a “must do” when in Key West, so step aboard and let us dazzle you with not only the most premium sailing experience but the most professional crew Key West has to offer. 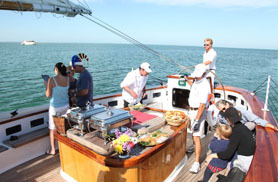 Our crew will cater to your every need and tell you the tales of old Key West as you cruise through the emerald green waters. 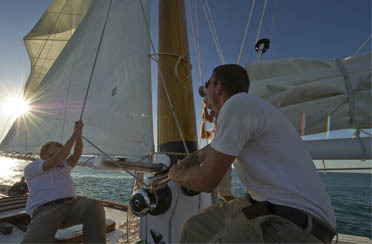 If you are not interested in a Day Sail then make sure to join us on our Champagne Sunset Sail!